GLOBAL ENDED / STORM ENDED / TOTALS COMING SOON. Severe weather outbreak possible from Bowling Green (Ohio) to Greenville (Mississippi)..
Any more information to the December 23rd storm? COMMENT BELOW! Here is my Tornado Chances throughout Wednesday, December 23rd. Each presents the chance of at least one charted. There's more population in the slight risk than the marginal risk... Not surprised lol. THIS IS A DANGEROUS SITUATION, PREPARE NOW! Please note, this information could change and will be updated on a later forum post by the overnight hours. 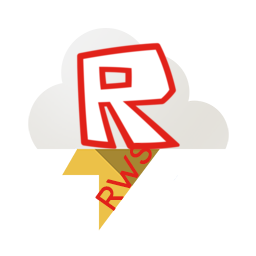 This is a message from all high rank staff at Roblox Weather Service and other affiliated groups with RWS. This is an action alert for all Roblox Weather Service members and affiliates. December 23, 2015 is currently a Weather Alert Day. This means that all operations at Roblox Weather Service will be in full force, including social media, reporting, and alerting operations. We ask that all loyal Roblox Weather Service members be vigilant of changing weather conditions, and to report all dangerous weather conditions to first, your local National Weather Service office, and then on the Roblox Weather Service group wall, or to us on Twitter, @Analyst_Wx. Include photos, by all means! They are extremely helpful, especially if you see something that looks suspicious in the skies. All operations aside, the risk for tomorrow is very high, and should be taken seriously. There is currently a slight risk for all states on the 23rd from northern Illinois/Indiana to the Gulf Coast states including all of Alabama and Mississippi. An Enhanced risk, most of the area where storms are forecast to be the worst, are Northern Mississippi, Northern and Western Alabama, Western Tennessee, Northeastern Louisiana, Eastern Arkansas, and small parts of Missouri, Kentucky, & Illinois. The areas in the Enhanced Risk Memphis, Tennessee, Nashville, Tennessee, Little Rock, Arkansas, Huntsville, Alabama, and Clarksville, Tennessee are included in a 30%, or Significant Severe Risk Area for December 23rd, 2015. We advise if you are in any of the Slight to Enhanced Risk areas, please take this weather event seriously. Please, only report weather with pictures if it is safe to do so, a simple Tweet or post will suffice. For more information, visit spc.noaa.gov, or analystweather.co.vu. To repeat: December 23rd, 2015 is currently declared a Weather Action Day, and no storm should be taken lightly. How wonderful, now I'm in enhanced. Forum updated. Kelsey, you stay safe and keep us informed!